Americas Best Value Inn Joshua Tree/29 Palms offers the most value for your money when staying for business, pleasure, or just passing through. We are centrally located off Twentynine Palms Highway, just minutes from Joshua Tree National Park, the US Marine Corps Air Ground Combat Center and Copper Mountain College campus. 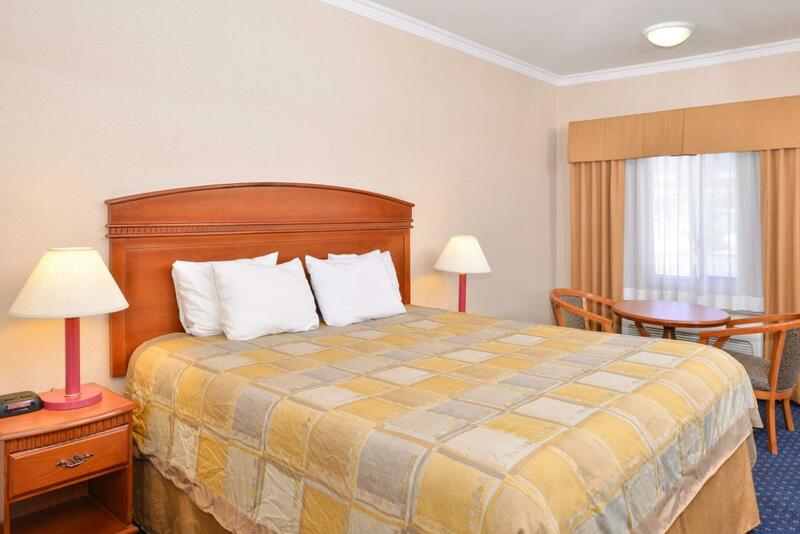 We offer clean spacious rooms, free hot breakfast, and free Wi-Fi throughout the property. All guest rooms come standard with a microwave and mini-refrigerator, flat panel cable TV, in-room coffee bar and iron and ironing board. Take advantage of our extremely comfortable beds and relax while saving money with our Kids Stay Free Policy (11 years old and younger in parent's room). Maintain your exercise routine on the road in our fitness center. For your convenience, our motel is 100 percent smoke-free. 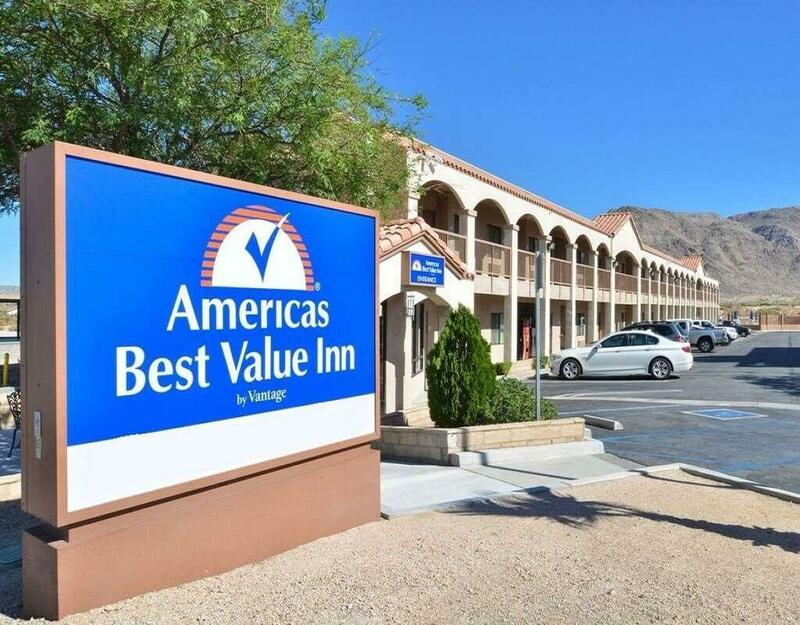 Americas Best Value Inn Joshua Tree/29 Palms is your best choice within the Joshua Tree National Park region of California. 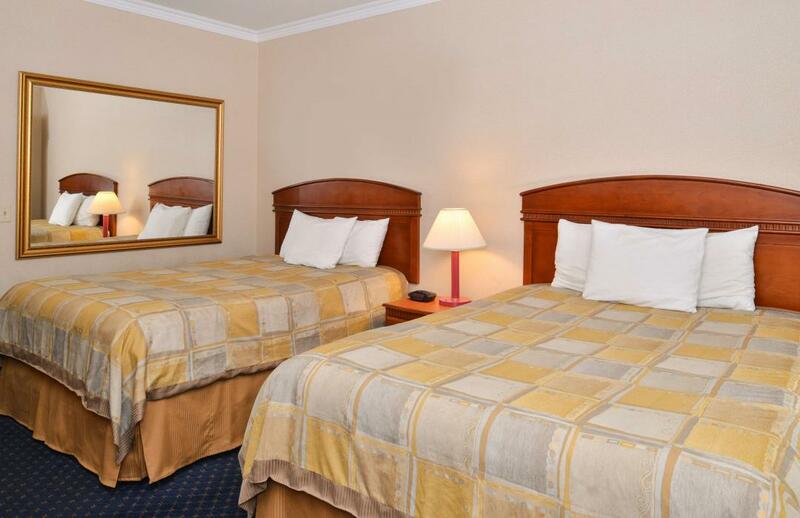 We offer ideal accommodations and location whether you are in town for sightseeing, music festivals, conferences or simply passing through on your way to the Grand Canyon or Los Angeles. At Americas Best Value Inn Joshua Tree/29 Palms our goal is to provide our guests a great experience, not just a place to stay. T K Donuts & Chinese Food, 0.1 mi. Bamboo Garden Chinese Restaurant, 2.3 mi. Rocky's New York Style, 2.4 mi. Palm Kabob House, 2.5 mi. 29 Palms Inn Restaurant, 3 mi. Check out these 29 Palms attractions during your stay. 29 Palms Plaza, 0.1 mi. Knott Sky Park, 1 mi. Tortoise Rock Casino, 3.4 mi. Luckie Park Pool, 4.3 mi. Smith's Ranch Drive-In Theater, 4.4 mi. Roadrunner Dunes Golf Course, 4.6 mi. Cinema 6 Theatre, 19.8 mi. Twentynine Palms Historical Society, 3.1 mi. Oasis of Mara, 3.3 mi. Copper Mountain College, 6.9 mi. Joshua Tree National Park, 7 mi. 29 Palms Marine Corps Base "US Marine Corps Air Ground Combat Center", 9 mi. J T & S Railroad Museum, 16 mi. Noah Purifoy Outdoor Desert Art Museum, 17.5 mi. Big Morongo Canyon Preserve, 29.1 mi. Mojave National Preserve, 69 mi.